Magnificent Estate hidden away inside of the city! 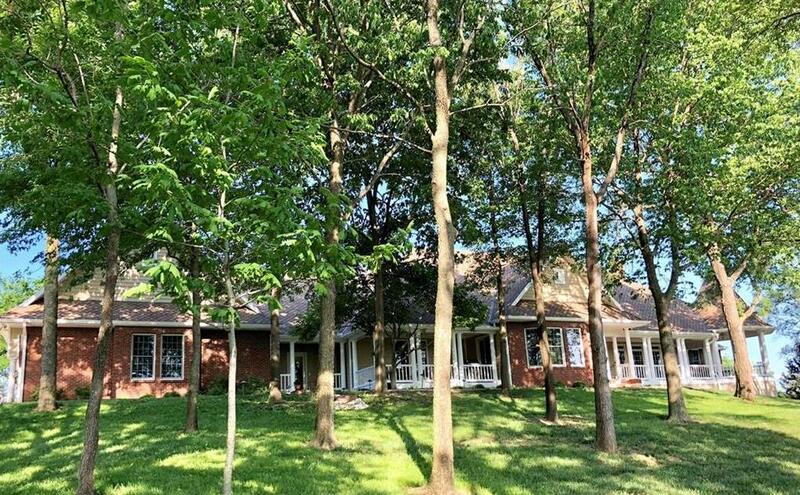 This charming 7 bedroom ranch style home is perfectly placed on a lush, 11.88 mol acre oasis! Featuring an in ground pool and a fully stocked pond! Immaculately presented inside with an open living room w/ fireplace and dining room boasting large picture windows and French doors. Media room with new HD projector. The oversized master bath and master bedroom, with fireplace are a cozy retreat! The enormous eat in kitchen is perfect for entertaining w/ Cambria counter tops, gas cook top, 2 convection ovens, wine refrigerator and ice machine. 3 bedrooms and 2.5 baths on the main floor. 4 bedrooms 4 baths make up the lower level walk out family room with a 2nd kitchen and laundry room. Perfect for the pool guests! So many amenities! 5012 S Mission Drive (MLS #2110307) is a single family home located in St Joseph, MO. This single family home is 9,692 sqft and on a lot of 517,493 sqft (or 11.88 acres) with 7 bedrooms, 7.5 baths and is 22 years old. This property was listed on 06/01/2018 and has been priced for sale at $995,000.